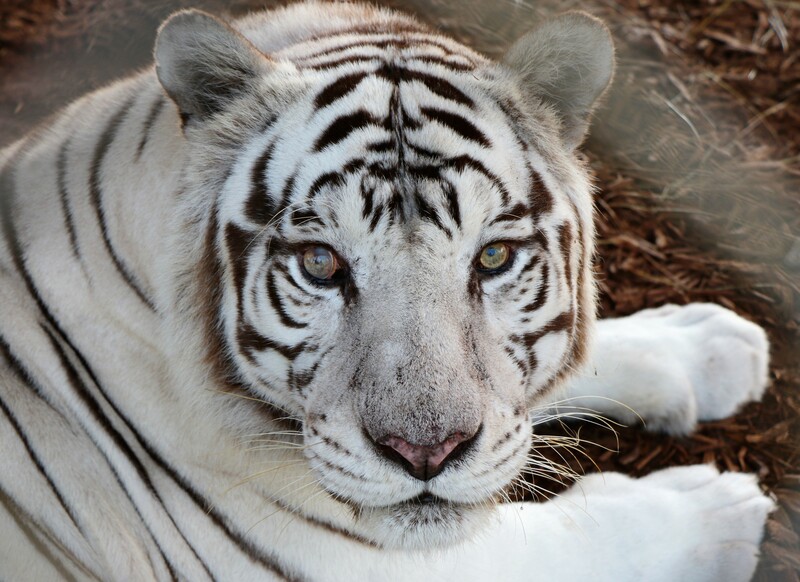 Eye of the Tiger – Meet Icamna | Central Florida Animal Reserve | Compassion. Conservation. Commitment. Toys are provided as enrichment to the residents of Central Florida Animal Reserve, which encourages mental and physical health and well-being. Icamna means “snowstorm”; he got that name when he and his now-enclosuremate Omaste had to be driven through a snowstorm to get back to Florida. He suffered significant visual problems, primarily congenital cataracts. When he was old enough for surgery, the cataracts were treated but there were additional problems with the lens. He underwent an extraordinary procedure to replace the lens to give him a chance at better sight. In spite of a lens replacement, Icamna never gained the exact sight of the other cats but at least was able to see. His visual challenges made him a challenge to handle, especially when exposed to large audiences. His food aggressiveness was legendary, as was his penchant for combining a disarming chuff with a very real bite. He eventually was paired with Omaste, and the two were clearly made for each other in both ferocity and personality. Icamna has a well earned reputation for mischievousness that has calmed with age, but never fully disappeared. Support Icamna and Central Florida Animal Reserve! Every dollar that is donated supports Icamna along with the residents of Central Florida Animal Reserve. Help us raise awareness by sharing this post!